Technology Archives » Dogsbody Technology Ltd. 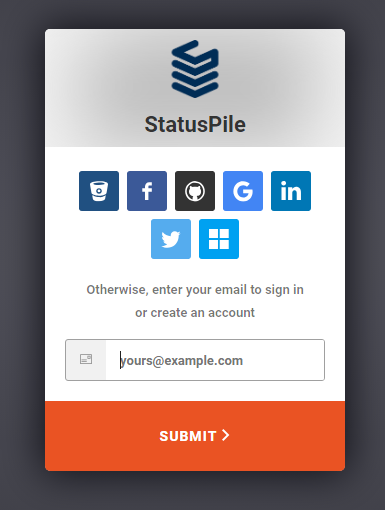 Simply put – it’s your status page of status pages. Most service providers have some kind of status page. When something goes wrong, you have to visit all providers, to find out where the issue lies. With StatusPile you need to visit just one place to see all statuses at-a-glance. Login via Auth0 to create your very own customised dashboard and then visit just one dashboard, to see which provider has issues. Each tile also links directly to that provider’s status page, for when you need the detail. Oh and did we mention, it’s completely free to use? Why did we build StatusPile? One of Dogsbody’s stated aims is to give back to the OpenSource community. This project has certainly done that. 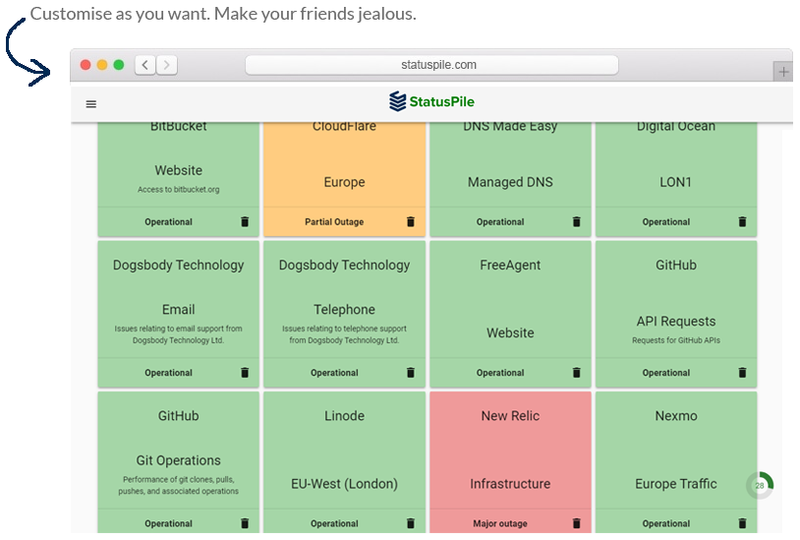 StatusPile is already helping developers and DevOps people around the world. We are also actively encouraging contributions and additions to the service provider list. The code is on Github. Feel free to contribute, fork the code, submit a pull request or submit any suggestions of providers you would like to see added in the future. We asked Dogsbody’s founder what’s behind the project. “We needed a status dashboard for the services we monitor for our clients. We couldn’t find one, so we built one. (Hat tip to Auth0 for the free license). We hope you find it as useful as we do. We plan to add more providers and features over the coming months – so why not check it out today? On 31st May 2018, Debian 7 “Wheezy” reaches end of life (EOL). We recommend that you update to Debian 9 “Stretch”. Over time technology and security evolves, new bugs are fixed and new threats prevented, so in order to maintain a secure infrastructure it is important to keep all software and systems up to date. Once an operating system reaches end of life it no longer receives updates so will end up left with known security holes. Just picking up your files and moving them from Debian 7 to Debian 9 will speed up your site due to the newer software. https://www.dogsbody.com/wp-content/uploads/endoftheline-e1467806432495.jpg 546 883 Jim Carter https://www.dogsbody.com/wp-content/uploads/Dogsbody-site-logo-1.png Jim Carter2018-05-08 10:32:272019-04-02 17:13:26How will Debian 7 end of life affect me?